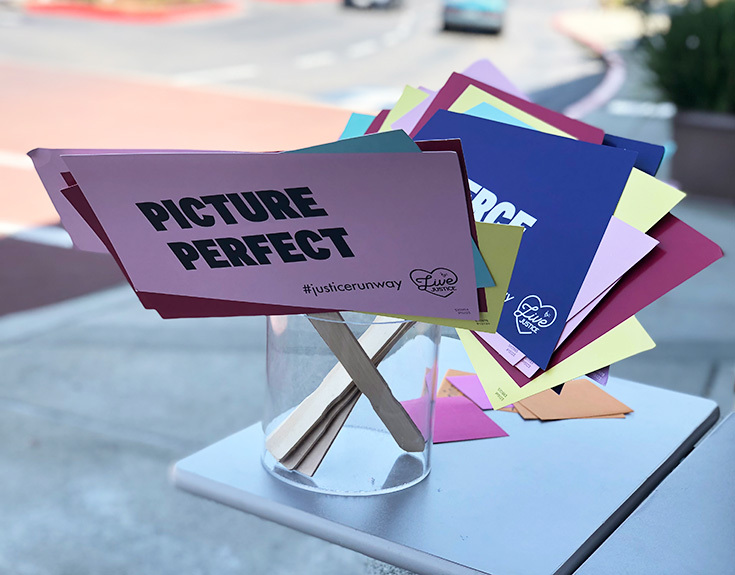 This past Saturday, my daughter and I made a trip to Justice to check out the “We Are Justice” fashion show event that took place at all the Justice locations across the country! 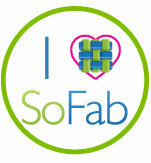 The Fashion Shows aimed to help empower girls to be confident and be themselves. We got there early and there was already a line of girls who couldn’t wait to walk the runway in some of Justice’s latest fashions! 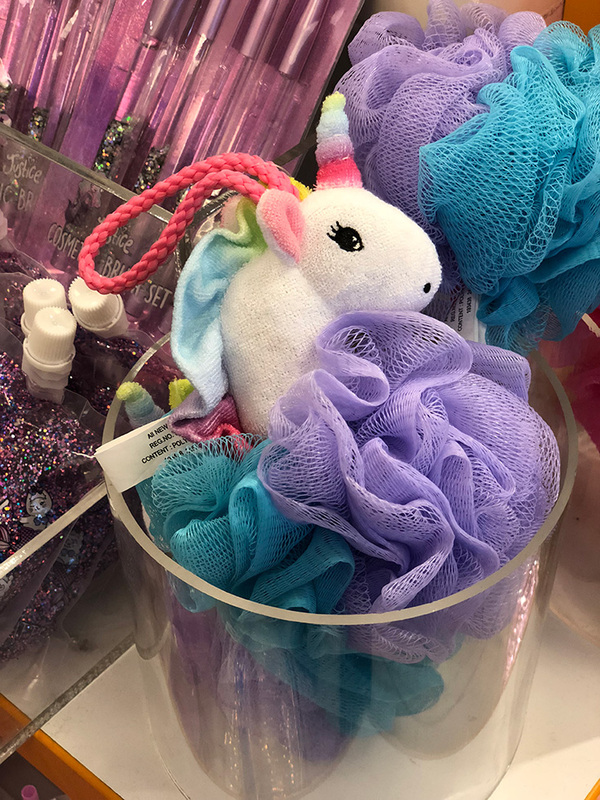 One thing that I will forever love is unicorns! I don’t know what it is about them but I think anything with a unicorn is cool! 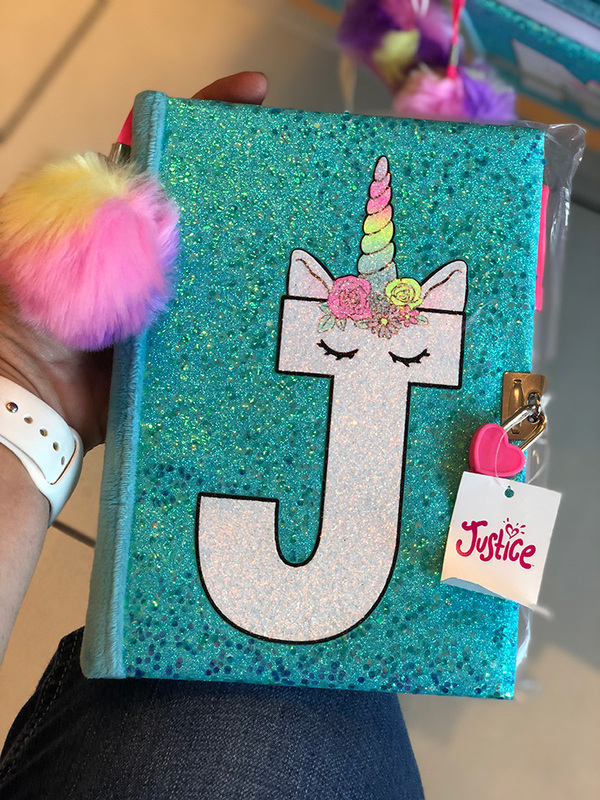 For girls who love unicorns, they are in LUCK because Justice recently released their new limited-edition Unicorn Party collection and has some of the CUTEST unicorn clothes and accessories. 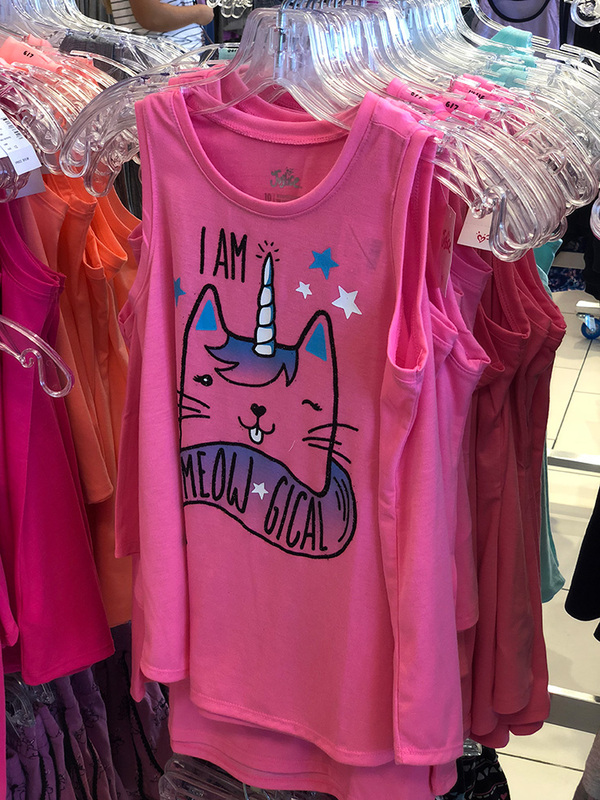 One of my favorites that I noticed is this pink “I Am Meow-Gical” tank top. 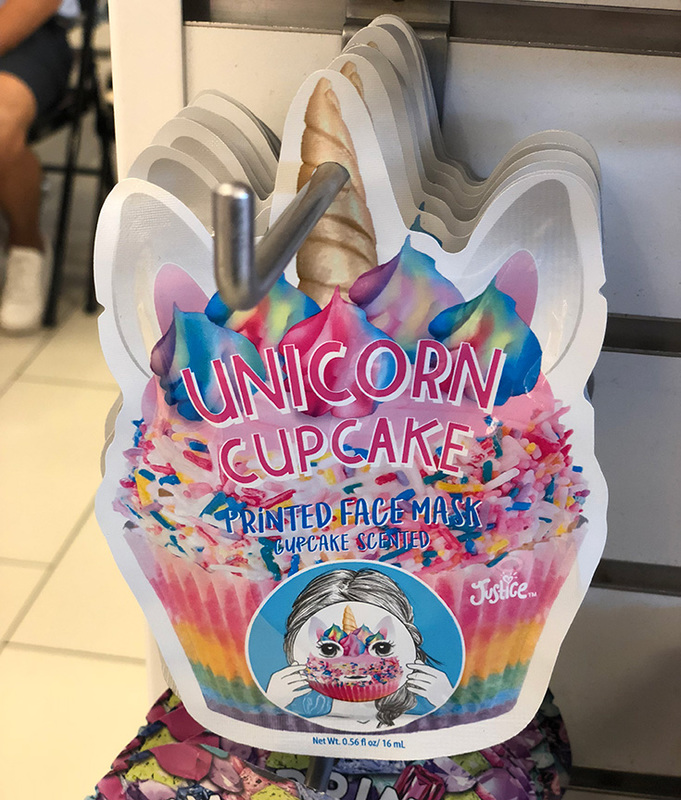 I love the color and the idea of having a cat with a unicorn horn on the front of it. Super CUTE! 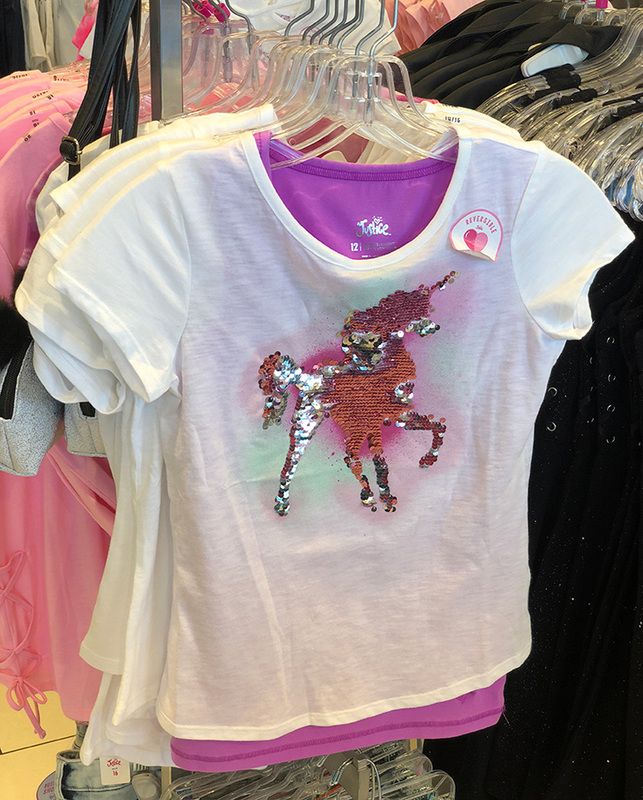 Justice also has cute flip sequin unicorn t-shirts that will be perfect to add to your tween’s back-to-school wardrobe. 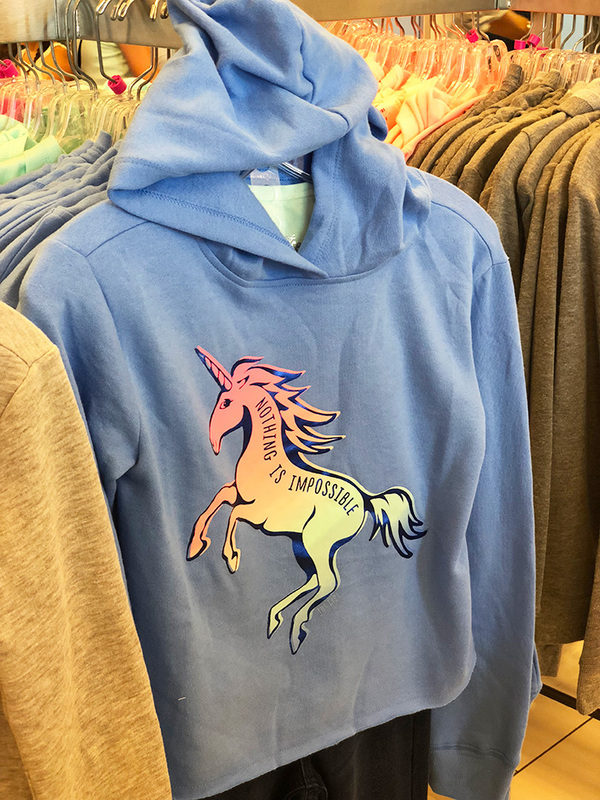 For the colder days the Nothing Is Impossible Unicorn Cutoff Hoodie would go perfect with some jeans and some cute sneakers! 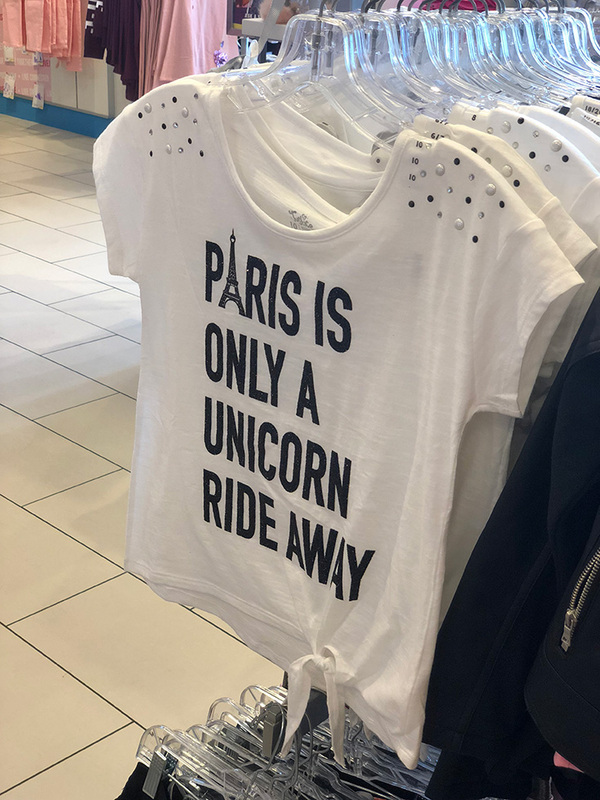 If only this one was available in my size! 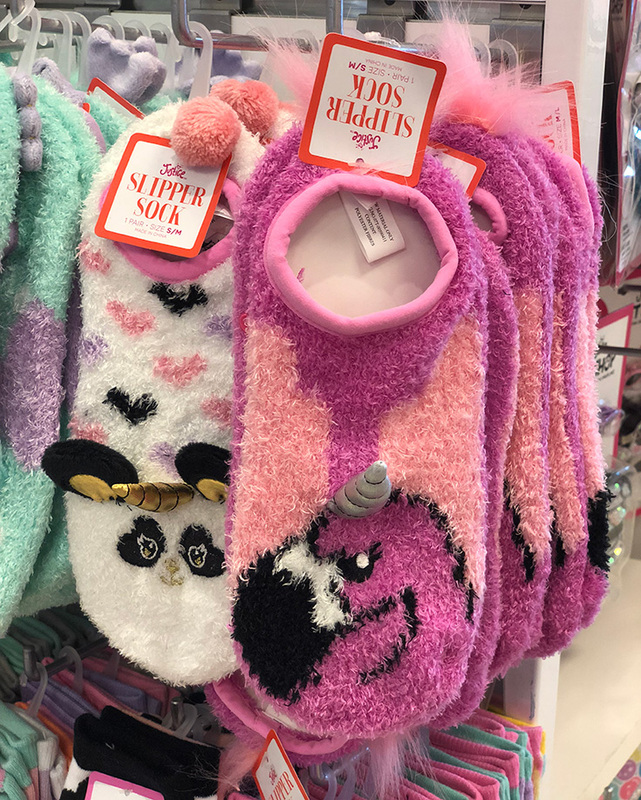 Additionally, Justice has you covered when it comes to socks! 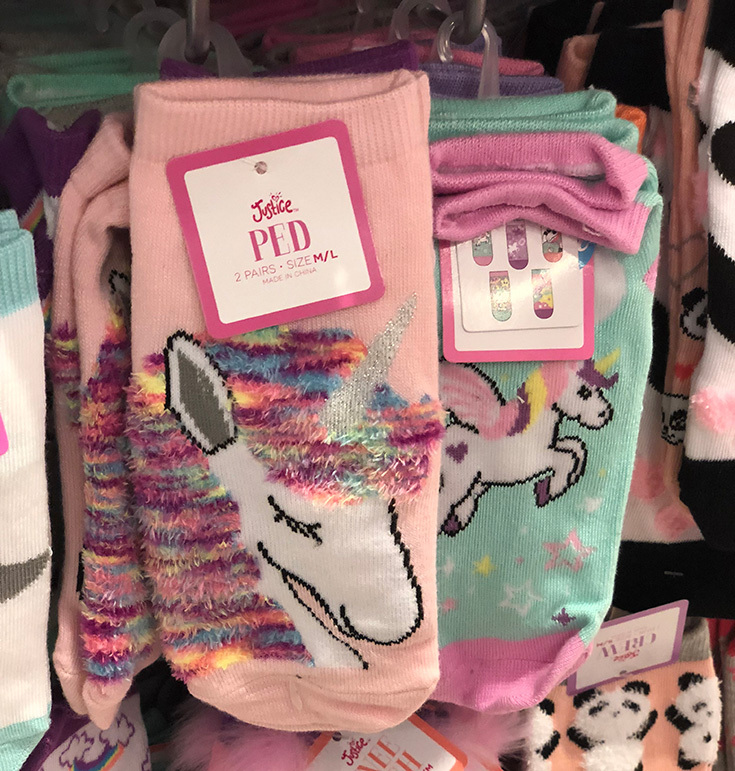 They have a variety of adorable unicorn socks that will go well with any of the unicorn tops that you will find! These socks are available in a variety of styles, colors and sizes to keep those toes warm. 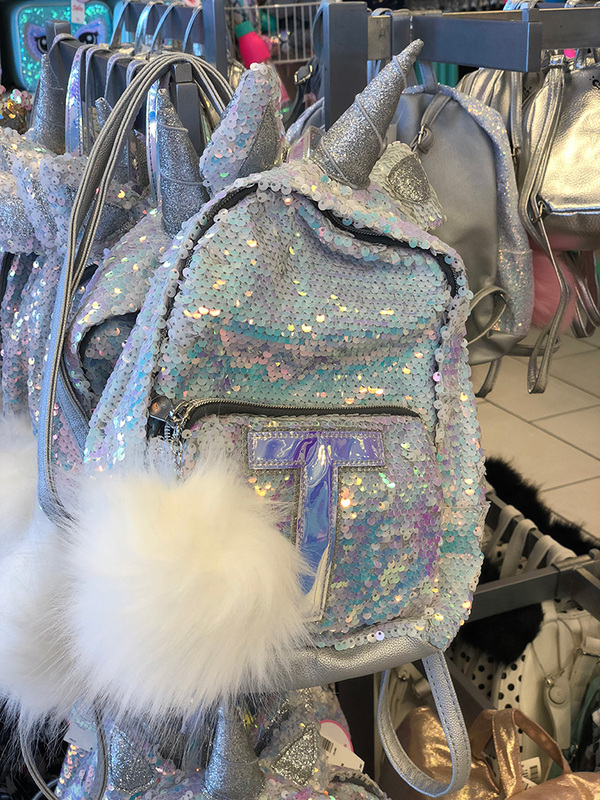 Next we found these adorable Unicorn Flip Mini Sequin Backpacks that were available in both silver and gold. 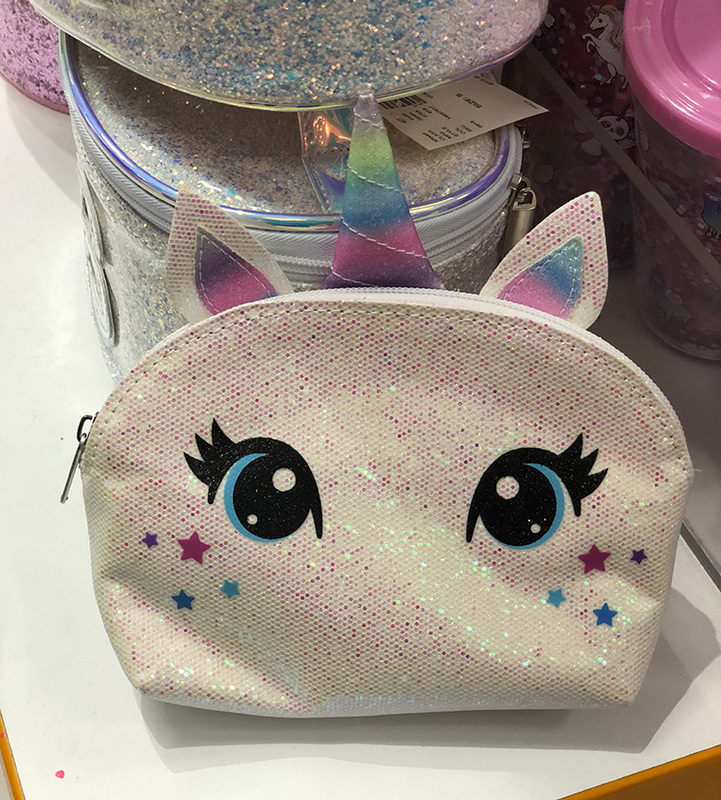 These can be used just like a purse but with some unicorn flair! Justice covers all the bases, including school lunches. 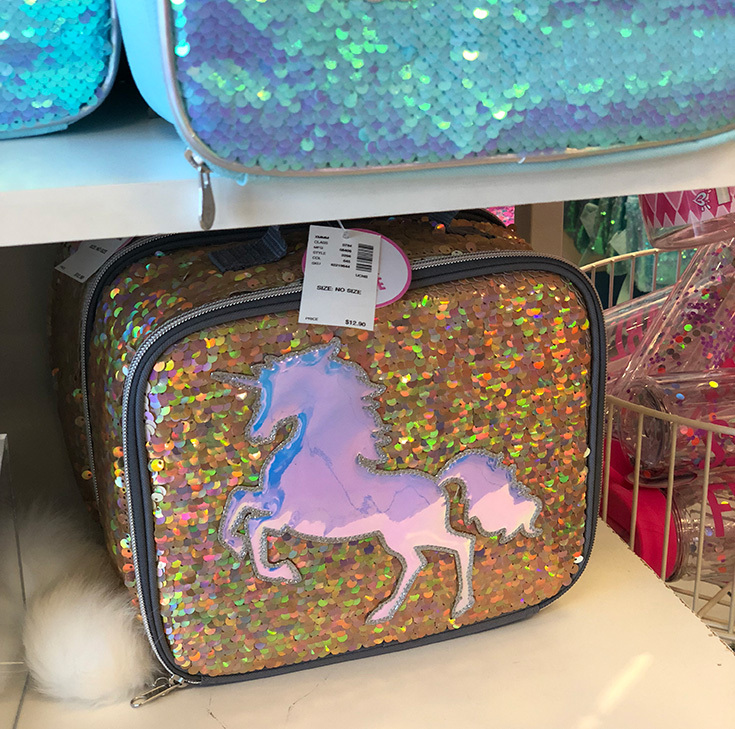 Check out this Unicorn Insulated Lunch Tote that has a flip sequin design with a fluffy pompom!